THE PRESIDENT: Thank you very much, everybody. Thank you. Please. Thank you very much. What a day. What a beautiful day. And our country is doing very well. You’ll see some very good announcements very shortly. I want to thank Vice President Mike Pence and Karen for joining us. Very special people. Thank you very much. (Applause.) We are truly blessed to have a Vice President and a Second Lady who believe in the power of prayer and the glory of God. And they do believe. I’m with them a lot; they believe. (Applause.) It’s good. Thank you, Mike. As we gather this morning, our thoughts also turn to the memory of a man who awakened the light of God in the hearts of millions of America’s pastors. And that’s the great, legendary, wonderful Billy Graham. Great, great man. Great. (Applause.) So, Cissie, I want to thank you for carrying on your grandfather’s incredible, towering legacy. Today, we remember the words of Reverend Graham, “Prayer is the key that opens [to] us the treasures of God’s mercies and blessings.” Always beautiful. And when he said it, it meant so much. When I say it, it means something. But I liked when he said it better. (Laughter.) Right? I think he did that a little better than I do. Americans of faith have built the hospitals that care for our sick, the homes that tend to our elderly, and the charities that house the orphaned, and they minister — and they really do, they minister to the poor, and so beautifully and with such love. We are proud of our religious heritage. And as President, I will always protect religious liberty. We’ve been doing it. We’ve been doing it. (Applause.) Last year on this day, I took executive action to prevent the Johnson Amendment — a disaster — from interfering with our First Amendment rights. I was so proud of that. I’ve been saying from the beginning. You know that. (Applause.) I was saying for a long time we’re going to do that. We condemn all crimes against people of faith, and today we are launching another historic action to promote religious freedom. I will soon be signing an executive order to create a faith initiative at the White House. (Applause.) Thank you very much. The faith initiative will help design new policies that recognize the vital role of faith in our families, our communities, and our great country. This office will also help ensure that faith-based organizations have equal access to government funding and the equal right to exercise their deeply held beliefs. Jon grew up without his father. As he tells it, “My mother was strong, but she wasn’t able to keep us out of the gangs and off the streets.” Right? Jon was in and out of jail for years until, at age 38, he was arrested for bank robbery. You don’t look like a bank robber, Jon. (Laughter.) He’s come a long way. Jon soon ended up in federal prison, relegated to solitary confinement. That’s where God found him. Jon began to read the Bible and listen to Christian radio. Right? (Applause.) Incredible. “I want you to know that I’ve been praying for you very strongly,” he said, that, “God called me to the FBI in part because of you, Jon.” The two are now lifelong friends. Jon, do you like him? THE PRESIDENT: You love him? That’s nice. (Applause.) That’s beautiful. Jon runs a ministry that has helped more than 2,000 former inmates rejoin society, and he’s the talk of the country. The job Jon does is incredible. Jon and Richard, you are a living testament to the power of prayer. (Applause.) Your story reminds us that prayer changes hearts and transforms lives. It uplifts the soul, inspires action, and unites us all as one nation, under God. So important. And we say it here. You know, a lot of people — (applause) — they don’t say it. But you know what? They’re starting to say it more. Just like we’re starting to say, “Merry Christmas” when that day comes around. (Applause.) You notice the big difference between now and two or three years ago? It was — Paula, it was going in the other direction rapidly. Right? Now it’s straight up. Today we gather to remember this truth: We thank God for the faith of our people. We praise God for the blessings of freedom. And we ask God to forever bless this magnificent land that we all love so much. America, thank you. God bless you. And God bless the United States. Thank you, everybody. (Applause.) Thank you very much. Thank you, Jon. Thank you very much, everybody. It’s a great day. Thank you. It is Christmastime at the White House. First Lady Michelle Obama received the day after Thanks giving Friday, Nov. 25, 2016, the last Christmas tree she will decorate at the White House of her husband President Barack Obama’s administration. 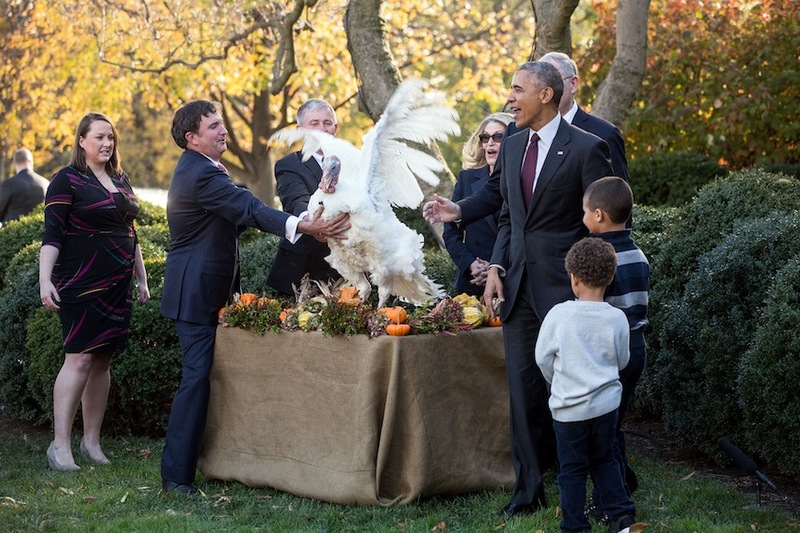 Unlike the last seven years, Mrs. Obama was not joined by her daughters Malia and Sasha, who also skipped this year’s pardoning of the National Thanksgiving Turkey on Wednesday, Nov. 23. Instead, the Obamas are being joined this holiday season by their youngest nephews Austin and Aaron Robinson. Along with her nephews the Obamas dogs, Bo and Sunny tagged along. As the First Lady looked over the tree, she said, “This is the easiest part of the holiday season.” For the entire weekend the White House staff will be decorating the executive mansion for the holidays, on Tuesday, Nov. 29 Michelle presents the finished product to the press and public. Then Thursday, Dec. 1, the Obama’s will light the National Christmas Tree in the Ellipse. President-elect Donald J. Trump asks everyone to join together under the shared resolve to Make America Great Again for all people. THE PRESIDENT: (Applause.) Thank you so much, everybody. Please have a seat. Have a seat. Of course, Thanksgiving is a family holiday as much as a national one. So for the past seven years, I’ve established another tradition: embarrassing my daughters with a “corny-copia” of dad jokes about turkeys. (Laughter.) This year, they had a scheduling conflict. (Laughter.) Actually, they just couldn’t take my jokes anymore. (Laughter.) They were fed up. Thanksgiving is a chance — (laughter) — to gather with loved ones, reflect on our many blessings, and, after a long campaign season, finally turn our attention from polls to poultry. This year, we’re honored to be joined by two of the lucky ones, who were raised by the Domino family in Iowa: Tater and Tot. Proud families across the country are finally complete now that marriage equality is the law of the land. And there are many families of servicemembers who had empty chairs at the table in recent years but who on this Thanksgiving can celebrate with our brave troops and veterans who we’ve welcomed home. Thanksgiving is also a reminder of the source of our national strength — that out of many, we are one; that we’re bound not by any one race or religion, but rather by an adherence to a common creed, that all of us are created equal. And while accepting our differences and building a diverse society has never been easy, it has never been more important. We are a people that look out for one another and get each other’s backs. We keep moving forward, defined by values and ideals that have been a light to all humanity. The holidays are also a time when it’s even more important to reach out to those who need a helping hand. I believe we’re judged by how we care for the poor and the vulnerable, the sick and the elderly, the immigrant, the refugee, everybody who’s trying to get a second chance. I believe that in order to truly live up to those ideals we have to continually fight discrimination in all its forms and always show the world that America is a generous and giving country. Let me just say — how am I doing? Good? Thumbs up? And now, from the Rose Garden, Tater and Tot will go to their new home at Virginia Tech — which is admittedly a bit Hokie. (Laughter.) They’ll get to live out their natural lives at a new facility called Gobblers Rest, where students and veterinarians will care for them. And so let’s get on with the pardoning because it’s Wednesday afternoon and everyone knows that Thanksgiving traffic can put people in a “fowl” mood. Here, at Arlington, the deafening sounds of combat have given way to the silence of these sacred hills. The chaos and confusion of battle has yielded to perfect, precise rows of peace. The Americans who rest here, and their families — the best of us, those from whom we asked everything — ask of us today only one thing in return: that we remember them. Those who rest beneath this silence — not only here at Arlington, but at veterans’ cemeteries across our country and around the world, and all who still remain missing — they didn’t speak the loudest about their patriotism. They let their actions do that. Whether they stood up in times of war, signed up in times of peace, or were called up by a draft board, they embodied the best of America. For us, the living — those of us who still have a voice — it is our responsibility, our obligation, to fill that silence with our love and our support and our gratitude — and not just with our words, but with our actions. For truly remembering, and truly honoring these fallen Americans means being there for their parents, and their spouses, and their children — like the boys and girls here today, wearing red shirts and bearing photos of the fallen. Your moms and dads would be so proud of you. And we are, too. Charles Keating, IV — Charlie, or Chuck, or “C-4” — was born into a family of veterans, All-American athletes and Olympians — even a Gold Medalist. So, naturally, Charlie, and the love of his life, Brooke, celebrated their anniversary on the Fourth of July. She called him the “huge goofball” everybody wanted to be friends with — the adventurer who surfed and spearfished and planned to sail around the world. When the Twin Towers fell, he was in high school, and he decided to enlist — joined the SEALs because, he told his friends, it was the hardest thing to do. He deployed to Afghanistan and three times to Iraq, earning a Bronze Star for valor. Earlier this month, while assisting local forces in Iraq who had come under attack, he gave his life. MRS. OBAMA: It is going to be perfect weather. The sun is coming out, which is always a great omen for the day. We’re just thrilled to have you all here. Today is a little bit bittersweet for us, because this is the Obama administration’s last Easter Egg Roll. MRS. OBAMA: Yes. And if we think about what we’ve accomplished over these past seven years, it’s pretty incredible. 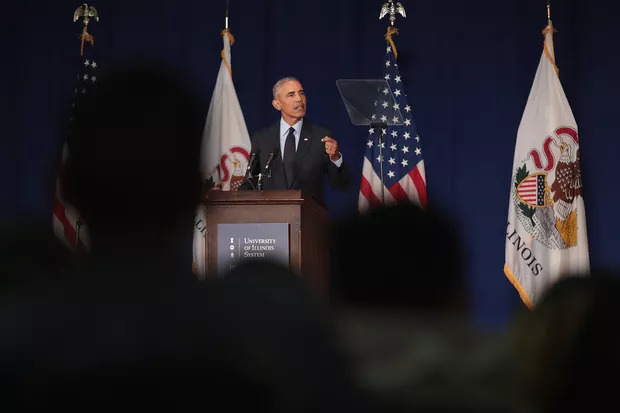 Because when Barack and I first got here, one of the goals that we had was to open up the White House to as many people from as many backgrounds as possible. So open it up to our kids, to our musicians, to explore our culture, to expose families to healthy living, and to just have a lot of fun. And since we started having Easter Egg Rolls, we’ve had more than 250,000 people come to this lawn every year. It’s been amazing. Today we’re going to have 35,000 people who will come in and out of the South Lawn over the course of the day. And we couldn’t be more excited for this last Easter Egg Roll. We have danced. We have done yoga. We’ve got our Soul Cyclers here. We’ve got some tremendous athletes and entertainers and artists who are going to read and play games with you all. We’ve got a little “whip” and a little “nae nae” — or however you do it. (Laughter.) Something like that. So we just want you to have fun. And the theme this year in our final year is pretty simple. It’s: Let’s celebrate. Let’s celebrate all the good work that we’ve done, all the great messaging we’ve had. All the amazing change that we’ve seen in this country. And we want to celebrate our families. We want to celebrate our nation — everything that makes us strong. It’s our diversity, it’s our values. That’s what makes us strong. And me and this President, we have been honored to be here as your President and First Lady to be able to host you in our backyard every single year. So I hope you guys have a terrific time. We’re going to be out there doing a little egg-rolling. We’re going to have a fun-run today. I’m going to be running around the White House with a bunch of kids — and any adults who feel like they can hang. (Laughter.) You guys can run along with me. Don’t feel shy. So just have a good time. And just know that we love you. We love you all, and we’re grateful for the love and support that you’ve shown us all these years. So thank you all. MRS. OBAMA: Happy Easter! (Applause.) Let’s celebrate! Now, this is the 93rd time Americans have gathered by the White House to light the National Christmas Tree. And as always, this tree is not alone -– all across America, in living rooms, and offices, churches, and town squares, families and neighbors are gathering to decorate trees of their own and get into the holiday spirit. It’s a chance to come together and to focus on what really matters –- the simple gifts of family and friends. The wonder and hope in a child’s eye. And, of course, the spirit of giving and compassion that can help all of us find new meaning in the world around us. That’s the message of the child whose birth families like mine celebrate on Christmas -– a prince born in a stable who taught us that we should love our neighbors as ourselves; and that we are our brothers’ keeper and our sisters’ keepers; that we should feed the hungry, visit the sick, welcome the stranger. These are the lessons of Jesus Christ. But they’re also the bedrock values of all faiths –- values to be cherished and embraced not only during the holidays, but to be practiced in our daily lives. So during this holiday season, let’s come together as brothers and sisters around the humanity that we share. Let’s reach out to those who can use a hand. Let’s summon the spirit of togetherness that’s always helped to kindle America’s shining example to the world. And let’s keep in our prayers those Americans who protect that ideal, especially those stationed far from home during the holidays. Our men and women in uniform and their families sacrifice so much for us. And it’s because of them that we can celebrate freely, that we can worship as we please, that we can come together on a night like this -– strong, and united, and free. THE PRESIDENT: Good morning, everybody. Thank you, Secretary Carter, for your leadership of our men and women in uniform. General Dempsey; Major General Buchanan; Mr. Patrick Hallinan, Executive Director of Army National Military Cemeteries; Chaplain Studniewski; members of our armed services, veterans, and, most of all, families and friends of our fallen — it is my deep honor to share this day with you again. For 147 years, our nation has set aside this day to pay solemn tribute to patriots who gave their last full measure of devotion for this country that we love. And while the nature of war has changed over that time, the values that drive our brave men and women in uniform remain constant: Honor, courage, selflessness. Those values lived in the hearts of everyday heroes who risked everything for us in every American war — men and women who now rest forever in these quiet fields and across our land. For many of us, this Memorial Day is especially meaningful; it is the first since our war in Afghanistan came to an end. Today is the first Memorial Day in 14 years that the United States is not engaged in a major ground war. So on this day, we honor the sacrifice of the thousands of American servicemembers — men and women — who gave their lives since 9/11, including more than 2,200 American patriots who made the ultimate sacrifice in Afghanistan. As an Arizona kid, Wyatt Martin loved the outdoors. He started fishing when he was two years old. His dad says he was pretty good for a toddler. Wyatt grew to 6-foot-4, became a hunter and wore flannel shirts every day — so his friends nicknamed him Paul Bunyan. He planned to go to college and work in the Arizona Game and Fish Department so that he could protect the land and waters he loved so much. Ramon Morris was born in Jamaica. He moved to Queens as a teenager. Like so many proud immigrants, he was called –compelled — to serve his new country. He, too, enlisted in the Army, and he even recruited his older brother Marlon to join, as well. He served five tours, including several in Iraq. Along the way, he fell in love with an Army Reservist named Christina. And they had a little girl, and named her Ariana. Ramon was the kind of leader who would do anything for his men, on and off the battlefield. But nothing was more important to him than being a great father to his little girl. My fellow Americans, this hallowed ground is more than the final resting place of heroes; it is a reflection of America itself. It’s a reflection of our history — the wars we’ve waged for democracy, the peace we’ve laid to preserve it. It’s a reflection of our diversity — men and women of all backgrounds, all races and creeds and circumstances and faiths, willing to defend and die for the ideals that bind us as one nation. It’s a reflection of our character, seen not only in those who are buried here, but also in the caretakers who watch over them and preserve this sacred place; and in the Sentinels of the 3rd Infantry Regiment who dutifully, unfailingly watch over those patriots known only to God, but never forgotten. Today, a grateful nation thanks them as well. Most Americans don’t fully see, don’t fully understand the sacrifice made by the one percent who serve in this all-volunteer armed forces -– a sacrifice that preserves the freedoms we too often take for granted. Few know what it’s like to take a bullet for a buddy, or to live with the fact that he or she took one for you. But our Gold Star families, our military families, our veterans — they know this, intimately. They’re people like Ramon’s mother, who could carry hate for the people who killed her son — but she says, “I have no anger, no bitterness, even for the person who did this. I feel sorry for them, and I ask God to change their hearts.” That’s one Gold Star mother’s amazing grace. These sons and daughters, these brothers and sisters who lay down their lives for us — they belong to us all. They’re our children, too. We benefit from their light, their positive influence on the world. And it’s our duty, our eternal obligation, to be there for them, too; to make sure our troops always have what they need to carry out the mission; to make sure we care for all those who have served; to make sure we honor all those whom we’ve lost; to make sure we keep faith with our military families; to make sure we never stop searching for those who are missing, or trying to bring home our prisoners of war. And we are grateful for the families of our POW/MIAs. Growing up in Massachusetts, John Dawson was an honor student who played varsity soccer. He loved the Bruins, loved the Pats, and was always up for fun — running into a room while spraying silly string, or photobombing long before it was in style. THE PRESIDENT: Merry Christmas everybody! Now, we’re not going to take much of your time because today is about family and being together with the ones you love. And luckily for me, that means I get a little help on the weekly address, too. 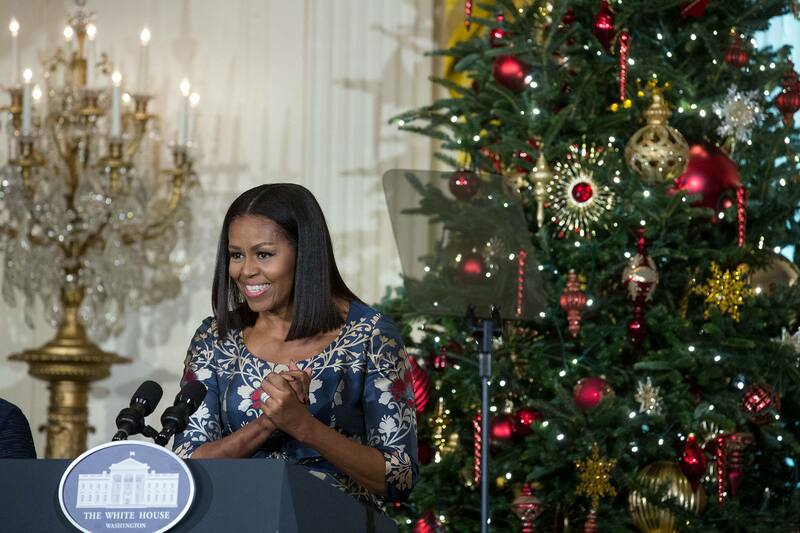 THE FIRST LADY: The holidays at the White House are such a wonderful time of year. We fill the halls with decorations, Christmas trees, and carolers – and this year, we invited more than 65,000 people to join us. Our theme was “A Children’s Winter Wonderland” – and Americans young and old had a chance to come together and celebrate the season. 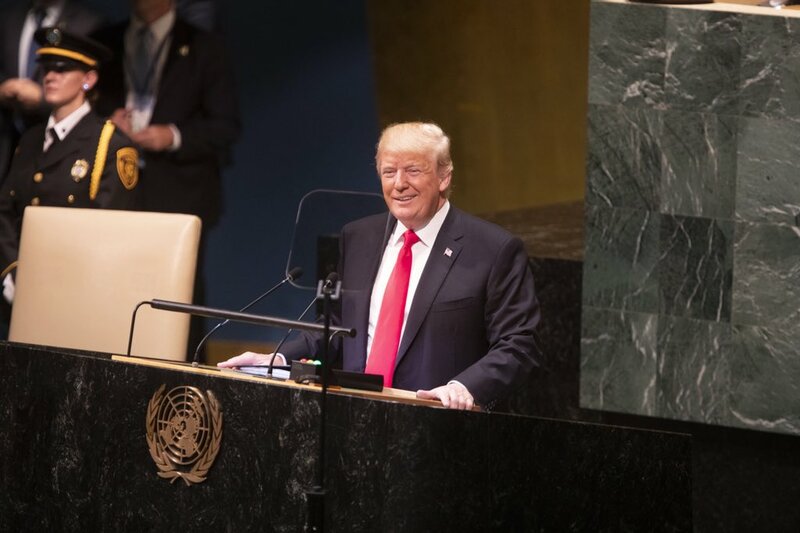 THE PRESIDENT: And today, our family will join millions across the country in celebrating the birth of Jesus – the birth not just of a baby in a manger, but of a message that has changed the world: to reach out to the sick; the hungry; the troubled; and above all else, to love one another as we would be loved ourselves. THE FIRST LADY: We hope that this holiday season will be a chance for us to live out that message—to bridge our differences and lift up our families, friends, and neighbors… and to reconnect with the values that bind us together. And as a country, that also means celebrating and honoring those who have served and sacrificed for all of us—our troops, veterans, and their families. THE PRESIDENT: In just a few days, our combat mission in Afghanistan will be over. Our longest war will come to a responsible end. And that gives us an opportunity to step back and reflect upon all that these families have given us. We’re able to gather with family and friends because our troops are willing to hug theirs goodbye and step forward to serve. After a long day, we can come home because they’re willing to leave their families and deploy. We can celebrate the holidays because they’re willing to miss their own. THE FIRST LADY: And so, as our troops continue to transition back home—back to our businesses, our schools, our congregations, and our communities—it’s up to all of us to serve them as well as they have served us. That’s something we can do not only during the holiday season, but all year round. THE PRESIDENT: So Merry Christmas, everybody. May God bless you all. And we wish you and your family a happy and healthy 2015.